Everyone understands the importance of exercise in their life. With a proper diet and regular exercise, one can keep his body fit and far from health hazards such as obesity, diabetes, heart problems, chronic disease, sleeping disorder etc. While most of the gym-goers give importance to exercise mainly to have an attractive physique, there is an added advantage of exercising, which is on our mental health. Keeping yourself physically active helps in better mental health by slowing the normal declines in our brain’s functionality that comes as we age. And like it is generally recommended to do a minimum of 2 to 3 hours of moderate-to-intense activity in a week to keep our heart healthy, similarly, there is a certain amount of exercise recommended for keeping your brain sharp. According to a study published in the Journal Neurology, a research team led by Joyce Gomes-Osman, assistant professor in physical therapy and neurology, found out as to how much one should exercise to keep his brain healthy and sound. 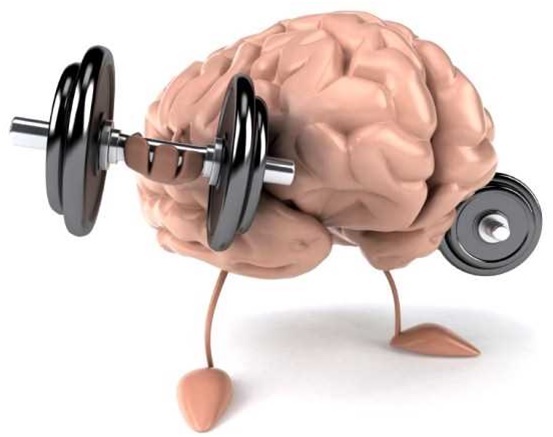 The team analyzed around 100 studies which connected exercise with over 122 different tests of brain function. Based on the data which comprised of over 11000 older people, they discovered that people who exercised about 52 hours in a period of 6 months have the significant improvement in different thinking and speed test. In the test, people worked out for about an hour thrice a week which included the people without cognitive decline and also those who have a mild cognitive impairment. “I don’t think 52 hours is really a magic number. “There really is a range. But I do think that these results signify to us that in order to get the known benefits of exercise for the brain, to help areas involved in thinking and problem solving — to get that machinery going, you need longer exposure [to exercise]. Those are all mechanistic processes that take time to develop,” said Gomes-Osman. In the research, what mainly surprised the researchers was the strong association between exercise and brain function considering the overall time people spent being physically active. Although, they didn’t notice a correlation between improvement in thinking and the intensity or duration of the time people exercised. The research can be quite helpful in knowing that the overall and cumulative effect of physical activity is what is important for better brain health. This means that exercise affects the brain in many ways, from maintaining brain’s nerve system which starts to diminish with age, to promoting neuron’s functions and better blood circulation to brain cells and boosting the cells involved in performing a higher level of thinking tasks. This concludes that exercising is essential for not only a fit body but also for a fitter mind. So, make sure to do a recommended amount of exercise regularly to make the most of your life with a healthy body and mind.